You need ​to know everything about asbestos removal. As a government regulated material, asbestos is a very serious health risk and has caused many problems for people over the years. pipe wrap, duct wrap, cement based siding, walls and boilers are some of the places you will find asbestos. By now, you know not to touch or snoop around anywhere you might suspect hazardous materials but you should learn about asbestos removal and you should leave that to the experts at all times. Finding harmful asbestos in home is disturbing, we know that, but if your home was built prior to the mid 1970’s, there is a good chance it may contain asbestos. It is not something that can be ignored when making any changes. Call us right away, we'll talk you down off the ledge; most importantly we'll give you a cohesive plan for the asbestos removal and abatement and our assurance that your home will be free and clear of this unwanted material. As certified, seasoned experts, we recommend that you do not try to remove asbestos on your own. As we mentioned, it is a regulated material for transport so you can be faced with fines, but more importantly, it is a risk to your health. Asbestos remediation requires bodily protection, negative air vacuums and know how from experience. Please call the top asbestos removal company in the area and we will put your mind at ease. 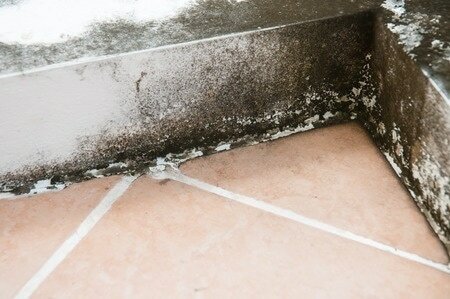 Don't know if you have mold or asbestos? Send us a pic and we'll help you. Older house siding can be contaminated with asbestos if you have the concrete type shingles or panels. 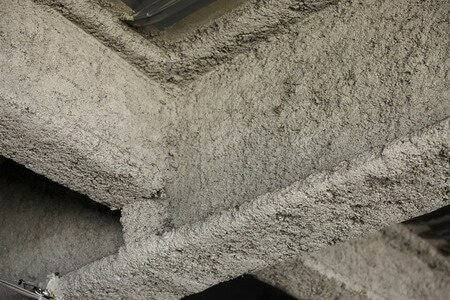 If you suspect that to be the case (asbestos is mixed with concrete and as it ages it becomes very brittle), then you should call us to test for contaminants. If the panels do contain asbestos, they should be removed professionally if the intention is to apply new vinyl or aluminum siding. The old panels will more than likely crack when screws or nails are used and that is an absolute no-no. While there is a definite cost that you may not have counted on, it is best in the long run. When home owners who have purchased a resale home older than 35 years old, they usually have the home tested for asbestos before signing on the dotted line. A home can clear the inspection for exposed and partially hidden asbestos in walls, around pipes, on old boilers and so on. But one of the areas that cannot be seen is under flooring. Old Vinyl flooring material can have asbestos, but even if it doesn't , it is not uncommon to find paper loaded with asbestos. If you are renovating, watch out for this material and one other tip would be to watch for the old style duct tape that can linger in this area as well as actual ducts and piping. If you suspect any questionable materials you should immediately stop working and call a pro to test and if necessary, remove the contaminated material. ​At Demolition Company Toronto / Home Legal and Restoration Services , we follow all of the necessary steps for the safest mold removal techniques and ensuring that your or business is safe and free of mold contamination. We will closely inspect and identify the mold and its source. Once we know we can draw up a plan for the safe removal which we will go over with you. To avoid a conflict of interest we bring in a third party post mold remediation inspection expert who has no financial or business relationship with the Demolition Company / Home Legal and Restoration Services. Bring in the construction department to return your property back to its original state if any necessary demo was performed. We do not perform demolition without consultation. Call us if you suspect any asbestos in your home, especially if you are planning any type of renovation. If your home was built after the mid 70's, it's unlikely you have asbestos to worry about. How much does Asbestos removal Cost? Remember, you can encounter asbestos or an asbestos-containing material during any type demolition or renovation. The expanse of products that can contain asbestos include insulation, plaster, flooring material, ceiling tiles, duct-work and tape, roofing shingles, some adhesives, and more. Asbestos removal costs range from about $1,500 depending on the extent of the work to be done, and up. Removing asbestos materials is not recommended for the homeowner who dares to tackle this job. Demolition and removal of asbestos is not easy and can be dangerous if not properly outfitted with special protective gear that includes hazmat suits, protective eyewear, gloves and respirators. If you think you might have asbestos building materials that need to be removed from your home, consider an experienced contractor that specializes in finding and eradicating asbestos before trying it yourself. Aside from demolition companies like ours, air conditioning contractors are also familiar with asbestos removal due to their ductwork experience and can deal with asbestos issues in homes constructed pre 1970.